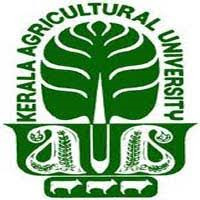 The latest report released by Pesticide Residue Analytical Laboratory (PRAL) of Kerala Agricultural University (KAU) at College of Agriculture, Vellayani, has stated that organic labelled items collected from private shops are found to have been contaminated and the presence of the chemicals banned in the state and insecticides not recommended for specific crops has been detected in some of the vegetable samples. The items, sold through ecoshops functioning under Krishibhavans, have been found to be safer for consumption, added the report on samples collected between January and June 2018. The heartening fact was that hazardous chemicals were not detected in any of the fruit samples tested and the samples of vegetables found to be highly contaminated were not those commonly cultivated in the state. Though spices collected from the open market are found to contain no pesticide residues, cardamom samples collected from Idukki district were detected with unsafe chemical content, indicating injudicious use of pesticides in the crop.